It’s Groundhog Day! This morning a blameless Punxsutawnian mammal popped its head out of the ground to see what all those reporters are doing, and the national network morning shows fill two whole segments without breaking a sweat. And Peaks and Pints is not talking about Ned Ryerson. You know, Ned! Ryerson! Needlenose Ned? Ned the Head? C’mon, buddy! Case Western High! He did the whistling bellybutton trick at the high school talent show? Bing! Ned Ryerson got the shingles real bad senior year, almost didn’t graduate? Bing, again! Ned Ryerson, he dated your sister Mary Pat a couple of times until you told him not to anymore? Well? Yep, that’s the one. Anyhoo, thousands of people gathered at Gobbler’s Knob in Punxsutawney, Pennsylvania, to watch a famous groundhog deliver his highly anticipated forecast. Punxsutawney Phil emerged from his burrow around 7:30 a.m. ET and did not see his shadow, predicting an early spring for us all. What would have happened if Phil emerged from his hole with a craft beer in his paw? Peaks and Pints built today’s beer flight based on what we think would have happened if such were the case. Stop by our bottle shop, taproom and restaurant and partake in Craft Beer Crosscut 2.2.19: A Flight For Punxsutawney Phil. 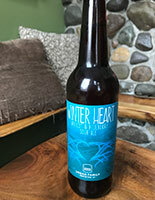 If Punxsutawney Phil emerged from his hole drinking Urban Family’s Winter Heart, it means six more weeks of drinking Winter Heart, which is cool with us. In Seattle’s Interbay neighborhood, this low-key brewery has evolved into a powerhouse of small-batch sour ales, including this delicious, dry apricot, blueberry and spice wild ale. 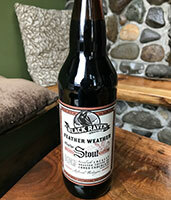 If Punxsutawney Phil emerged from his hole drinking Black Raven’s Feather Weather, it means he thinks we’re frontin’ and pops a cap in our asses because he thinks we’ve been with his woman. We haven’t obviously, but we’ll gladly be with this beer. This American stout is brewed with cocoa nibs and Moto cold pressed coffee from Seattle. Dark chocolate and coffee flavors combine for the best of both worlds, yo. If Punxsutawney Phil emerged from his hole drinking Stillwater Artisanal’s Faux Fur, it means we have what it takes to become America’s Next Top Model. We’re ready to be picked apart and crushed thoroughly by catty judges, for Judgment Day is upon us. 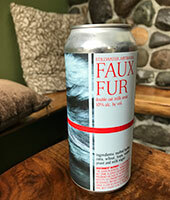 Even if we lose, we’ll win if we take home said Faux Fur double oat milk stout with dense, creamy malt up front with hints of smoke and ash. Cold brew coffee, marshmallow, vanilla and caramel emerge mid-palate, finishing roasty with just a hint of cream. 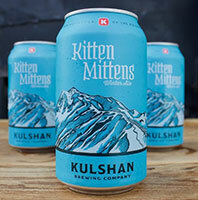 If Punxsutawney Phil emerged from his hole drinking Kulshan Brewing’s Kitten Mittens Winter Ale, it means he is not a real groundhog; it’s just those mean teenagers playing a trick on us again. That’s cool, as long as we can keep the Kitten Mittens. The Bellingham brewery adds four different malts — 2-row, Chocolate, roasted barley and Munich — to Kitten Mittens Winter Ale giving it the rich, medium-bodied winter warmer we adore with a nose of milk chocolate and a touch of brown malt. The body strikes a nice mix of easy malty notes and medium sweet chocolate balanced by earthy hop notes, thanks to the Apollo, Willamette and Fuggle hops. We dig the touch of chocolate liquor on the finish. Stay off our lawn you pesky teenagers! 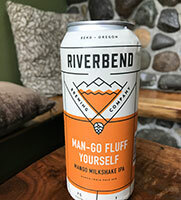 If Punxsutawney Phil emerged from his hole drinking Riverbend Brewing’s Man-go Fluff Yourself, it means we have to be better about attending our jazzercise class because we’re going to drink a bunch of this milkshake IPA. Yup, another milkshake IPA from the Bend, Oregon brewery — this time a mango milkshake IPA with mango and vanilla on the nose and a moderately bitter, moderately sweet with tropical milkshake experience. The relatively high bitterness keeps the sweetness in check. Excuse us now, as we need to get on the floor in a low-plank position on our forearms with our elbows directly underneath our shoulders.